Truthfully I am not a huge fan of orange, or yellow. If you’ve been reading this blog long enough, you know what my favorite color is. But I’m liking the way the yarns are combining to create a richness of bright color that doesn’t feel too “crayon-y.” Am I making sense? Only about 10 rounds to go, then on to the earflaps. 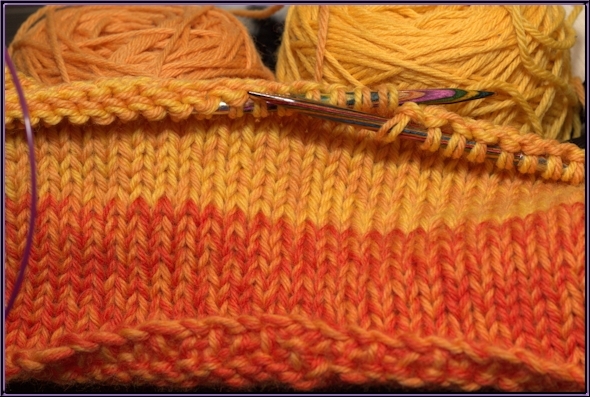 I know most knitters could probably finish up in an evening, but I’m shooting for the weekend. Wish me luck.